Thor is a member of the Avengers who first appeared in Marvel Comics Journey Into Mystery #83 in August 1962. 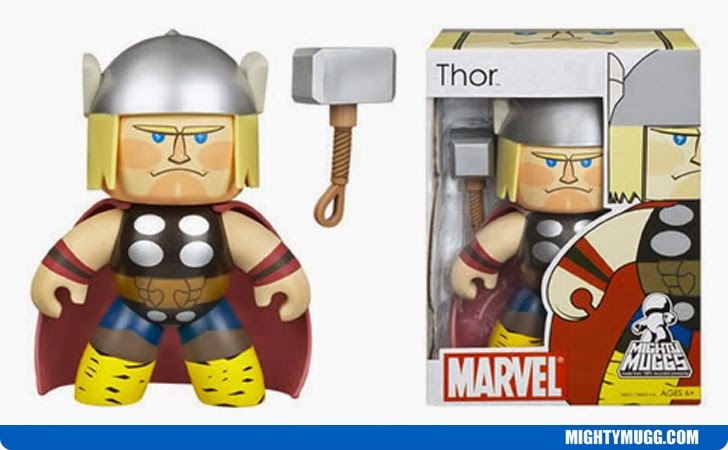 Based on the Norse God, Thor has become a popular, fictional character in the comic book world. Most recently actor Chris Hemsworth portrayed the mighty hero on the big screen in the 2011 box office hit: Thor (2011) and continues the role in Thor: The Dark World released in 2013. The Mighty Mugg above portrays the hero in his classic look which stayed consistent from 1962 to the mid 80's.